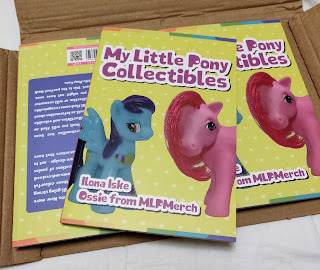 And we're also happy to share that we got a review on the Surprise Egg and Toy Collector blog, where they wrote an amazing article on the book, as we couldn't describe it better ourselves! Like most books that says “Collectibles” I was going into this review expecting page after page of each and every pony ever released from 1983 to present with maybe one line of text of each page, however what I found was some truly wonderful pieces of information regarding the franchise and beautifully presented images from some hard to find figures from over the years to ones I remember playing with from the original G1 toys way back from the 80s. 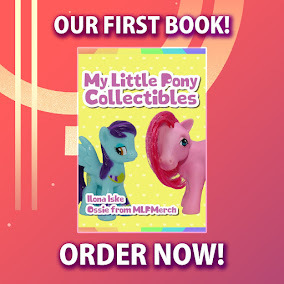 We didn't just turn the databases into a book, but hand-picked special releases from the past 35 years of My Little Pony and added background information to these ponies and sets. We're sure that people that are relatively new to My Little Pony will enjoy the timelapse through all those years of My Little Pony, and vivid fans can still enjoy photos of some of the more exclusive ponies out there. Interested in reading our first book? Book Depository has it in stock with 17% off and free international shipping! Other options are available too. Want to see what the content looks like? Below we have a few examples of what to expect.